4.3 Silent voices and reduced complexity? 5.1.4 Student employability assets: university responsibility? 5.3.3 Do all students and graduates lack confidence to enter the employment market? Graduate employability has become a highly topical and contested issue in Vietnam. Many employers report that university students are not suitably prepared for work, and universities are often criticised for their poor commitment to developing student employability assets. Much of the criticism identifies the causes to be an outdated higher education curriculum coupled with too much reliance on traditional teaching approaches, and a general poor capacity of universities to support students to develop the skills that the market requires. This study challenges this ‘common sense’ (Gramsci, 1999) criticism that places the responsibility of student transition to the employment market squarely on the shoulders of universities. By analysing qualitative data, that includes the voices of students, recent graduates and employers, on issues related to employability, this study locates the criticisms of the Vietnamese higher education system within the wider social and cultural contexts related to the difficulties of student transition. It adopts Hillage and Pollard’s (1998) employability conceptual framework where the interplay between student employability assets, the ways students translate or deploy their university achievements in employment (Knight & York, 2004) and the internal and external contexts under which students seek work (Beckett & Mulcahy, 2006), interact to contribute a complex picture of employability. The findings of this study reveal that enhancing graduate employability in Vietnam involves many factors that are often underplayed in the general literature. In the Vietnamese context, both the education system and the economy remain relatively underdeveloped; students are schooled to be passive learners and workers; and corrupt employment practices remain rife. Moreover, Confucian cultural features of face saving, hierarchical order in decision making, and the role of rumour and hearsay in a collectivist culture each play an important part in the different ways university graduates negotiate their transition to employment. The study suggests that universities, students, employers and other related stakeholders (including students’ families, government and educational policy makers) all need to acknowledge the rapid changes taking place in Vietnamese society. In order to enhance the development of graduate employability in Vietnam, these sectors of society need opportunities to collaborate so that a mutual understanding of the problem is arrived at and feasible solutions are developed and implemented. In 2005, when I went to sign a contract to hire camping tents for my university students, the owner asked me to help find a job for a particular girl and pointed to a shy-looking young girl who was sitting at a small table in front of the owner’s shop. This girl had approached the shopkeeper a few months before about the job posted on the shop window. The owner said “I can’t employ you because I don’t need a university graduate. I only need someone who can read and write and I can only pay 500,000 dongs a month” (about 30 USD at that time).  The young woman sadly walked away. A month later, she came back and pleaded “Please give me the job or I will die of hunger.” The owner was overcome with pity and employed her, promising at the same time to find a better job for this ‘poor obedient girl’. Apart from passing her documents to the job matching centre of the Student Association in my university, I could not do much to help this unfortunate young woman, but the image of a shy girl sitting in front of a small table near the road side continues to haunt me. Two years later, I went into a toyshop where the shop assistant recognised me and struck up a conversation, saying that she knew me from my role of Youth Union Secretary of her university. I was surprised to realise it was the same young woman, and at her polite and easy going manner. I asked her, “Why don’t you find something better to do?” She turned my question back on me asking, “What can I do, Sister? I learned French at the University, but I don’t want to be a tourist guide. My health is not good and I don’t think I can do anything else.” When I left the shop, the image of the lonely and forgotten girl sitting in front of a small table near the roadside came back to me and I was overwhelmed by sadness. Since then, when it comes to graduation time each year in June, these images return to haunt me. Eventually I felt a pressing need to find out more about the route taken by recent graduates entering the employment market in Vietnam. After making inquiries with many people, and observing for myself the fraught and precarious process for recent graduates in searching the market for a suitable job, I gradually assigned myself the responsibility to help these young people. There must be more to know and to do about employability, and to help these young people to help themselves. This was the impetus that propelled me into this study, which examines the transition from university to employment of Vietnamese university students upon graduation. The central focus is on the perspectives of final year university students and recent graduates. I wanted to know how these participants articulate the central issues they face in this transition, how they view their knowledge, skills and attitudes needed for work, what assets they possess for employment, and how might these assets, in turn, influence their employment chances. The perception of employers about recent graduates is also important. By listening carefully to both groups during this study, a sharper picture of the students’ transition to employment has emerged. The issues related to the transition of university graduates to the workplace are complex, and there is no easy solution. There are many stakeholders involved, including higher education managers, teachers and policy makers, employers, university students and their families. The purpose of this study is to contribute fresh insights on this issue and to include different voices and perspectives so that the obstacles blocking or hindering recent graduates can be better navigated. Vietnam is a socialist country, and after gaining independence in 1945, it adopted a ‘centrally planned economy’ (nền kinh tế tập trung) where the direction and development of the economy were planned and controlled by the government. The government was considered to be dictatorial: ‘a monopolist of capital and monopsonist of labour’ (Harrison, 2002, p. 402). The way jobs were allocated reflected this form of social organisation. Upon graduation, university graduates received their ‘job assignment’ (giấy phân công công tác) informing them where they were allocated to work. Graduates did not have to find work for themselves. Conversely, however, they did not have the right to change the work they were assigned to do. The Sixth National Congress in 1986 became a turning point for Vietnam when the centrally planned economy was replaced by a market-based one. The Congress’s Doi Moi  policy is considered to be a major economic renovation or liberalization that has brought massive changes into the Vietnamese economy (Pham Thanh Nghi, 2010; Phung Xuan Nha, 2009; Tran Quang Trung & Swierczek, 2009; Trinh Thi Hoa Mai, 2008). Its implementation called to a halt a long period of stagnation in the Vietnamese economy after the independence of the country was established (Harman, Hayden, & Pham Thanh Nghi, 2010; Montague, 2013). Since Doi Moi, Vietnam has undergone profound changes in all areas of life. The internal economy developed very quickly and the private and foreign investment sectors boomed. In terms of human resource management, there is no more ‘job assignment’ for graduates. Instead, there are increasing numbers of opportunities opening up for graduates, not only with traditional organizations in the government sector, but also from emerging private and foreign direct investment (FDI) enterprises. Graduates have been given the right, as well as the challenge, to stand on their own feet, and to thereby find and maintain their own work within the Vietnamese market-driven economy. The higher education sector has also developed very quickly in order to meet the human resource needs of the open employment market. Since the economic liberalisation of 1986, both the Vietnamese economy and its higher education system (HES) have developed very quickly. Paradoxically, despite the fact that each year thousands of students graduate and many have difficulty finding work, employers continue to complain that they have difficulty finding graduates with the required knowledge and skills. The consistent discourse is that university graduates are underprepared, have impractical and underdeveloped professional knowledge and lack the necessary skills required by the contemporary workplace (Ketels, Nguyen Dinh Cung, Nguyen Thi Tue Anh, & Do Hong Hanh, 2010; Montague, 2013; Pham Thi Huyen, 2008; The World Bank, 2008). As I have pursued my interest in the journey of university graduates entering the labour market, I have been surprised and saddened by the high number of unemployed and underemployed graduates, and the frustration expressed by employers who despair about the quality of work demonstrated by these young people. The ready blame levelled at the HES is a consistent theme in both contemporary research about the HES in Vietnam and in the media (Tran Thi Tuyet, 2011). Surprisingly, it is not only employers who blame the situation on the HES. It seems the entire Vietnamese society places the responsibility of students’ transition to the workplace on the ill equipped and underfunded higher education sector. Shifting the responsibility for graduate unemployment onto the HES in Vietnam is convenient but simplistic. However, this view has historical roots. The Vietnamese people are used to viewing the university as having this responsibility. The focus on work preparation and supplying a skilled workforce for the development of the country is often considered the main mission of higher education in Vietnam (Tran Ngoc Ca, 2006). George also notes that the structure of higher education has also been ‘fundamentally designed to meet the needs of the labour market’ (2010, p. 34). Since Vietnam gained independence in 1945, the system was built following the old Soviet system where higher education institutions are small, mono-disciplinary, very specialised organisations focused on training the labour force to meet the projected labour requirements of each sector (George, 2010). Originally, many universities were formed in association with their Line Ministries. For example, the University of Health was placed under the Ministry of Health, while the University of Agriculture was under the Ministry of Agriculture and Development. Until recently, 13 major universities have remained under their Line Ministries as well as the Ministry of Education and Training (MOET). Clearly, the Vietnamese government has retained universities as the primary means to train a skilled workforce for the economy. The vocational focus in higher education has created the belief that a university has more to do with ‘training’, rather than ‘education’. Several researchers have emphasised this central mission of the HES. Ta Thai Anh and Winter (2010), for example, suggest that education refers to primary and secondary education, while training refers to higher education. The name of the Central Ministry, The Ministry of Education and Training also reflects this order as education precedes training. Tran Ngoc Ca (2006) goes so far as to claim that the main mission of the Vietnamese university is to produce an educated labour force for industry. The argument that university students should be provided with in-depth professional knowledge has also gained support from the Education Law 2005. This Law emphasises that higher education has a responsibility to provide professional knowledge and skills, to satisfy the demands of the labour market, and to support the need to modernise and industrialise the country (Pham Thi Huyen, 2008). The majority of academic staff also consider their role is to support the traditional mandate of the university to produce human resources for the nation state rather than to engage in research (Tran Ngoc Ca, 2006). As indicated above, much contemporary research in Vietnam has stated that the major purpose of higher education is to prepare students for work. This same research suggests that there is a concern about the HES’s poor infrastructure, out-dated teaching facilities, curriculum and teaching methods. Unless these deficiencies are addressed, the likely success of universities in Vietnam carrying out their tasks is diminished (Montague, 2013; The World Bank, 2008; Tran Quang Trung & Swierczek, 2009; Tran Thi Tuyet, 2010). As a result, university graduates will be unable to meet the requirements of the contemporary workplace. It seems that all eyes look towards the HES to increase the employability of students. As a person involved in the Vietnamese HES since 1986, as both a student and then a staff member, I was lucky to have experienced the changes in the system, the changes in society and also the significant changes in the economy. I also understand the complaint about the weak capability of the HES in preparing its graduates for employment. However, I question the popular perception of this complex issue. Transition tends to be challenging for most (Van Geert, 1994), and transition from university to employment - the transition from learning to doing - is not expected to be easy. A drop in student performance has been reported (Van Geert, 1994). The HES does need to take responsibility for its quality of teaching. However, is its solo effort enough to drive a positive change on the issue of graduate employability in Vietnam? Moreover, the traditional mission of universities in Vietnam was to prepare workers for a command economy where they were required to follow orders, to listen and obey, rather than to develop creativity and take initiative (Nguyen Van Lịch, 2009). Thus, the teaching in higher education institutions has strongly reflected both Confucian culture and the old Soviet system top-down approach where the teacher is considered the primary source of knowledge. The main duty of students has been to receive knowledge from the teacher and then re-learn it for the exam (Dapice et al., 2008; Stephen et al., 2006; Vu Ngoc Hai et al., 2007; and Vu Quang Viet, 2008). However, after Doi Moi, with the massive development of both private and foreign direct investment sectors, the traditional ‘products’ of the Vietnamese HES - the passive learners and workers - do not appear to be suitable for work in these changing times (Pham Thi Huyen, 2008; The World Bank, 2008). Vietnam has increasingly integrated into the global market, e.g. becoming a member of the Association of Southeast Asian Nations (ASEAN) in 1995 and the World Trade Organization (WTO) in 2007. This required the internal economy to change to respond to the international competitive market. Instead of requiring loyalty, hard-work and obedience within the centrally planned economy, employers now require graduates to understand a foreign language (especially English), to have good communication skills, teamwork and personal skills, and to demonstrate such characteristics as taking initiative and being proactive (Ketels et al., 2010; Tran Ngoc Ca, 2006; Tran Quang Trung & Swierczek, 2009). In a relatively short period of time, this level of change has been highly significant within Vietnamese society. At the same time, the HES has struggled and been pressured to develop a system that meets the new needs of the economy. However, universities have faced many additional challenges during this transitional period. They lack teaching staff (General Statistics Office, 2012a), and the level of funding and resources is very low (Evans & Rorris, 2010).They do not possess autonomy in such areas as curriculum development or designation of their own rector (Hayden & Lam Quang Thiep, 2010; The Southeast Asian Ministers of Education Organization, 2007). In addition, the inherited infrastructure of most universities is antiquated and teaching methods have remained traditional - focused on transmitting knowledge from the teacher to the student ( Dapice et al., 2008; Stephen, Doughty, Gray, Hopcroft, & Silvera, 2006; Vu Ngoc Hai et al., 2007; and Vu Quang Viet, 2008). Change on so many fronts will require time, support, funding and effort to allow universities to address the new labour needs of the economy. Adding to these difficulties and challenges are the loose relationships between the HES and the labour market, the underdeveloped research capability of universities, and the tenuous research-industry linkage gap (Fatseas, 2010). Together, these work as obstacles blocking the ability of universities to enhance the capability of their graduates for employment. While it is easy to point to the need for universities to change – and many are quick to state this, with the current system of teaching, research, governance, and limited connection to and communication with the employment market, it may be an insurmountable problem for the HES to create the change necessary to satisfy the needs of the labour market in the short term. Moreover, bridging the gap between the HES and the employment market will require good will and effort from a range of stakeholders. In addition, the transition from the university to the workplace is one that individual graduates will need to negotiate. As the ‘job allocation’ from the government no longer exists, the onus is on the graduate to find a job and to stay employable in the market. How might they be better supported in this adaptation? It is not enough to describe this situation as complex without investigating the possibilities. With a strong belief that enhancing graduate employability for Vietnamese students needs the assistance of a range of stakeholders, I do not want to locate my research only within the HES. However, the question I have to confront is how to address the problem and bring about a clearer picture of related issues so that all stakeholders involved can see their responsibility and make an effort to enhance graduate employability in the Vietnamese context. Internationally, there has been substantial research focusing on enhancing the capability of university students to meet the demand of the new workplace environment. One obvious and popular approach has been to develop lists of skills deemed desirable by employers. Many universities have built and attempted to assess lists of skills or graduate attributes that university students purportedly need to develop to be employable after graduation (see for example Cox & King, 2006; Hart, 2008; Hartshorn & Sear, 2005; Meisinger, 2004; Omar, Manaf, Mohd, Kassim, & Aziz, 2012; Raybould & Sheedy, 2005). In Vietnam, Tran Quang Trung and Swierczek (2009) and Truong Quang Duoc (2006) have also suggested specific lists of skills considered important for Vietnamese university students to develop if they want to succeed in entering the employment market. Although the outcomes of these initial research projects in Vietnam are significant and important for all related stakeholders to gain a better understanding of the problem in the Vietnamese context, the very distinctive features of the Vietnamese context and culture do not seem to be articulated well in this research. These lists do not seem to adequately probe the hidden features of the context and circumstances in which graduates are seeking jobs. In a collectivist and high context culture like that in Vietnam, where context is more important than the transmitted message in creating meaning (Hall, 1976, 2000; Kittler, Rygl, & Mackinnon, 2011), there is a need to make explicit the context and cultural features which play an important role in graduate thinking and their way of entering the market. A central aim of this study is to contribute a clearer picture of those features that are specific to the Vietnamese context, in order to offer a way forward. My intention in this study is to examine the perceptions and interpretations of students and graduates, and combine them with the expectations of employers on the issue of enhancing graduate employability. By engaging in dialogue with final year students and recent graduates and also by providing a vehicle for their voices to be heard, my aim is to gain further insight into the transition to employment of university graduates. I also want to explore how Vietnamese university students and recent graduates make sense of their employment situation, how they make sense of what is waiting for them in the new environment at work, and how they react in that situation. I also aim to investigate how internal and external circumstances and context in the contemporary Vietnamese society impact on these young people. In order to navigate this proposition, the employability framework developed by Hillage and Pollard (1998) has been employed in this inquiry. The four components of this framework are employability assets (knowledge, skills and attitudes), deployment, presentation, and context. In employing this framework, my purpose is firstly to gain a sense of student and graduate perceptions about the employability assets they identify as important and valuable for workplace entry. The second purpose is to explore student and graduate understandings of workplace requirements. A third goal is to examine the way students and graduates view their assets in the process of searching for suitable jobs in the employment market. Finally, by employing this framework, I will also be able to consider how their personal circumstances, the Vietnamese cultural context, and the Vietnamese labour market requirements influence their meaning-making. The voice of employers has also been sought to ensure that the external context of workplace requirements is explicit and to problematize student and graduate perceptions. 1. What do Vietnamese students, graduates and employers perceive about graduate employability assets? 2. How do students and graduates deploy and present their employability assets in the employment market? 3. What socio-cultural factors affect Vietnamese graduates search for employment and how do their individual circumstances impact on this process? While this study reflects my location and insider knowledge as a lecturer and a researcher who has studied and worked in the HES in Vietnam for more than twenty years, the interview process and the analysis of data have been carefully designed to pay close attention to the voices and perspectives of students, graduates and employers. This design aims to develop a ‘thick description’ (Stake, 2008, p. 128) of the graduate employability issue and context in contemporary Vietnamese society. It will contribute not only to the general body of knowledge in this field, but pragmatically, it is intended to act as a resource for a range of stakeholders who are keen to learn about the issues and complexities involved in graduate employability within Vietnam. In Chapter 2, the Vietnamese context of this study is outlined in more detail with particular attention to the socio-economic situation in Vietnam and higher education. In Chapter 3, relevant literature on the issue of enhancing graduate employability is critiqued. In particular, the debate about whether enhancing skills and graduate employability is the responsibility of universities is reviewed. The literature discussing Vietnamese higher education and its own reactions to this issue is also closely examined. The methodology underpinning this study is outlined in Chapter 4. A justification for locating the study within a constructivist paradigm is provided. My rationale for using a qualitative approach based on focus group interviews with students and in-depth semi-structured interviews with graduates and employers is also discussed. Issues arising from these methods, including researcher subjectivity and reflectivity, are also considered. Chapter 5 reports the results of the study where the findings are presented in ways that privilege the participants’ voices. Chapter 6, the final chapter, is a summary and discussion of the research findings. The major considerations from the findings are offered and recommendations are made for better enhancing graduate employability in the specific context of contemporary Vietnamese society. Finally, some suggestions for further study bring this inquiry to a close. A particular limitation of this inquiry is that the students, graduates and employers participating in this study are associated with a limited range of settings in which they have studied, worked and searched for work. Another is that the number of participants is small in size. The study was conducted in Vietnam and invited only students, recent graduates and employers but not all higher education-workplace related stakeholders. For example, important perspectives from higher education policy makers and student families were not sought. This study therefore makes no claim to a broad generalisation. However, generalisation is not the intent of this research. It is a context-specific study and hence does not seek to make claims that are applicable to all situations (Lincoln & Guba, 1985; Merriam, 1998). 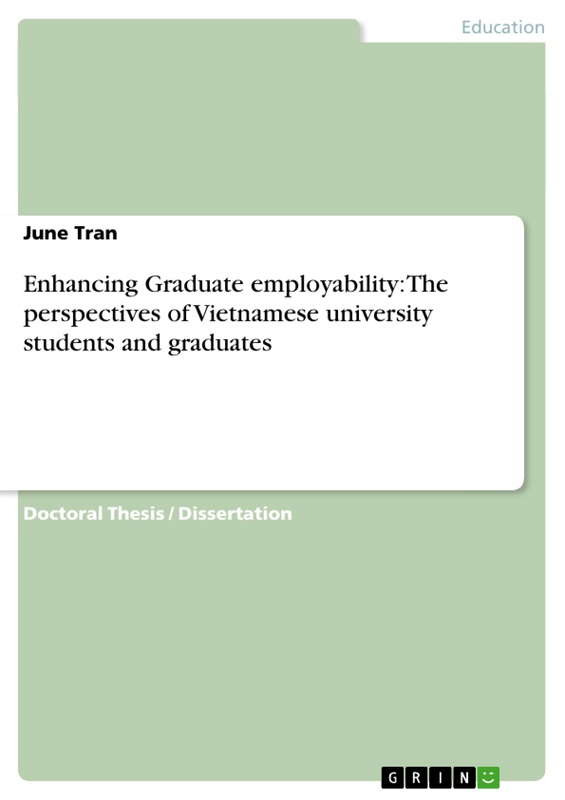 It does not aim at definitive descriptions of graduate employability but at understanding perceptions of graduate employability in a very particular Vietnamese context and culture. In addition, this study is best considered as a snapshot rather than a comprehensive study, because the revealed perceptions are situated in a specific time and place. The picture of graduate employability and how it might be enhanced is highly context specific, which is both a strength in terms of thick description and depth, and a weakness in terms of generalisability or breadth. There is also a limitation inherent in this study related to my personal involvement in the Vietnamese HES and this has undoubtedly influenced the study design and data interpretation. Confronting reflexivity and minimising personal bias is not easy or straightforward but my sensitivity to this limitation together with my special interest in listening to the voices of my research participants have created a desire to describe ‘the thick of what is going on’ (Stake, 2008, p. 128) in not only my own world but also the world of the research participants. Specific strategies toward achieving this goal will be discussed in detail in Chapter 4. 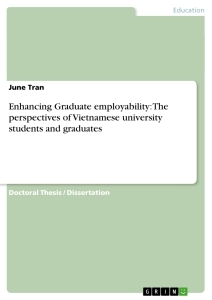 This study aims to investigate the issue of how graduate employability could be enhanced in the Vietnamese context. Instead of focusing on the superficial issue of skills, this study aims to develop a broader picture of the socio-economic context and cultural characteristics in Vietnam which have affected and impacted upon the processes in which university students enter the workplace. As employability is context and culture dependent (Beckett & Mulcahy, 2006), the findings of this study suggest that skills are not the only things that matter in enhancing graduate employability, especially in the Vietnamese high context culture where communication is often ‘indirect, implicit, internalised, or more dependent on physical and psychosocial contexts’ (Scheele, Pruitt, Johnson, & Xu, 2011, p. 245). Therefore, an essential feature of my study is the contribution to research on Vietnamese society by looking at appropriate ways of producing knowledge. The findings will hopefully illuminate related policies and practices in the Vietnamese educational system with a view to offering forward-looking courses of action. In terms of the personal benefits, this project has challenged my ideas and understanding, and transformed my professional identity. As a university lecturer with management experience, the inquiry has shed light on my future teaching and research direction. In developing my understanding of the complicated factors affecting students’ transition to work, my teaching, research and decision making, particularly regarding students’ employability will hopefully contribute to Vietnam’s future as well as to knowledge in more general terms. For the Vietnamese students, graduates and employers who participated in this study, the process offered them the opportunity to reflect on their own study and work practices, and to hear the stories of others who study or work in similar situations. This study is especially beneficial for students and recent graduates who have had the opportunity to share their understandings, their hurdles and their thinking when coping with the challenges of entering employment. There is also potential for my research to shed light on the way in which meaning-making occurs, in particular, regarding the complexity in enhancing graduate employability (Beckett & Mulcahy, 2006; Hager & Holland, 2006; Harvey, 2005; Holland, 2006; Knight & Yorke, 2004), and therefore, it contributes generally to knowledge in this field. The complexity of the employability discourse is partly due to the circumstances in which programs of study and pathways into the workplace occur. Little connection is apparent between HES and industry within Vietnam (Fatseas, 2010; Pham Thi Huyen, 2008), little information is provided to students about the labour market requirements and little guidance is available to better prepare graduates for employment (Mai Trong Nhuan & Hoang Van Van, 2009). Standing on the threshold of a significant transition in life, students are bombarded with rumours and hearsay coming from a range of directions in the collectivist culture of Vietnam. Alongside stories of corruption, students' and graduates' poor employability assets intersect with their desire to keep face for the whole family, to earn money immediately after graduation, and to find work to stay in big cities. These all add to recent graduates’ anxiety when struggling to find their ways into employment. In a culture where many things are driven by unwritten rules and where there is often very low transparency in policy making and practices (Gillespie, 2008), enhancing graduate employability in Vietnam still remains a challenging, opaque and bewildering process for many university students and graduates. While this inquiry addresses the issue of enhancing graduate employability within the specific context and culture of Vietnam, this does not negate its valuable contribution for the field. This study offers a fresh voice and original to the literature about graduates’ transition from university to the labour market. A good job and a better future is the most desirable outcomes of education for young people in Vietnam and universities are considered the ideal places to fulfil this dream. Prior to 1990, a young person holding a university degree could say good-bye to farm work in a predominantly agricultural country and join the intellectual workforce. This meant a life of relative privilege with a high status job and a higher income. Finding employment for university graduates was not a problem either because until quite recently, it was the government’s responsibility. As soon as students were awarded their degrees, they were allocated work by the government. However, in the late 1980s and early 1990s, the Doi Moi reform meant considerable change. Doi Moi changed Vietnam from a centrally planned economy to a market-oriented one, which heralded enormous societal change, for university graduates too. As a direct result of Doi Moi, the economy developed rapidly and has since been driven mainly by the market. The HES has also expanded exponentially in order to meet the economy’s need for qualified employees. 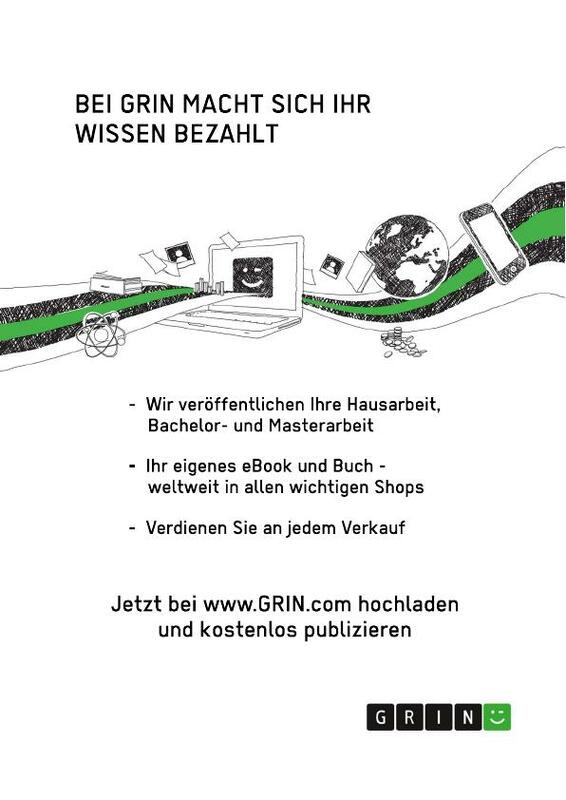 The old and comfortable system where work was allocated to new graduates by the government is fading from memory, and in these new times, university graduates are required to apply for a limited number of positions in an open and competitive market. A major problem arises when up to 400,000 students graduate each year. Many of these graduates have not yet found a suitable job a year after graduation. Conversely, employers complain loudly about their very real difficulty in finding graduates with the required knowledge and skills. The supply does not seem to meet the demand on the labour market and there are complicating historical, social, educational and economic factors that this thesis attempts to unravel. The ‘Vietnam Higher Education Renovation Scheme’ identified the major weakness of the higher education sector: its poor capacity to train and provide qualified human resources for the industrialisation and modernisation of the country (MOET, 2006a). The current teaching and learning quality indicators in higher education in Vietnam are generally considered to be low, not only by global standards but also because they are considered to be lower than that of neighbouring developing countries with similar cultures such as Thailand and China (Dapice et al., 2008). Higher education in Vietnam does not appear to meet domestic requirements or expectations. Some of the indicators include: complaints about the quality of higher education training, the dissatisfaction of employers, and the high rate of underemployment and unemployment among university graduates (Pham Thi Huyen, 2008). Universities often receive the blame for not training their students to meet the demands of employers (Tran Thi Tuyet, 2013b). Recently, MOET issued a number of resolutions, instructions, and plans to reform the educational system. Nonetheless, many of these resolutions and plans have been criticised as impractical as they were issued without careful research into the background context, culture, as well as the teaching and learning infrastructure, conditions, traditions and habits in Vietnam. Together with unclear implementation, the result has, in most cases, been unsurprisingly unsuccessful (Hayden & Lam Quang Thiep, 2007; Thi Tuyet Tran, 2014 forthcoming). The current situation of the HES in Vietnam and the gap between education and the real needs of the society in terms of university graduates’ transition to work in particular, call for further investigation into the problem. In order to provide an overall picture of the complexity of Vietnamese universities and employment, this chapter offers the background context for the study. Two major aspects are considered in detail. The first is the socio-economic background of Vietnam focusing specifically on the impact of the Doi Moi economic liberalisation process and the recent changes in the labour market. The second offers an account of the expansion of the Vietnamese HES and related issues. Doi Moi means reform or renovation. Due to the ubiquity of the major family names such as Nguyen, Tran and Le, and the habit of addressing with the given name even in formal situations in Vietnam, this thesis uses the full name of the Vietnamese authors instead of using only their first names. Vietnamese HES is still under centralized governance where the central ministry (the Ministry of Education and Training) decides matters such as the curriculum framework and governance in every institution.